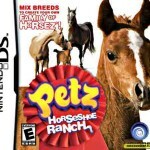 Category: NDS, PC, PSP, Wii. 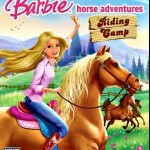 Tags: Adventure, Feed your horse, Girl, Grooming, Horse competitions, Horse farm, Horse racing, Riding, Take care of horses, Train horse. This game has some beautiful graphics that will put you in the middle of some awesome forests with amazing landscapes that appear to have been painted with a brush. Despite being simple graphics, they make the game look like a canvas and it is really beautiful. The gameplay is really simple: all the controls are done with the keyboard, only using the directional arrows to control your character and a couple more keys. Also, the game gives you all the instruction you need to know, so there’s no complication at all. 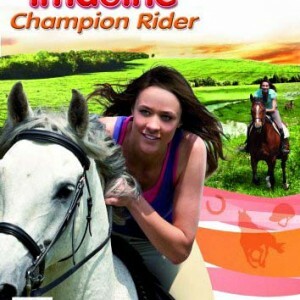 “Imagine: Champion Rider” is part of Ubisoft’s collection “Imagine”, where girls play as Lily in all of her adventures. 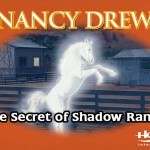 In this game, Lily helps her friends running their Mustang farm, saving them from extinction. 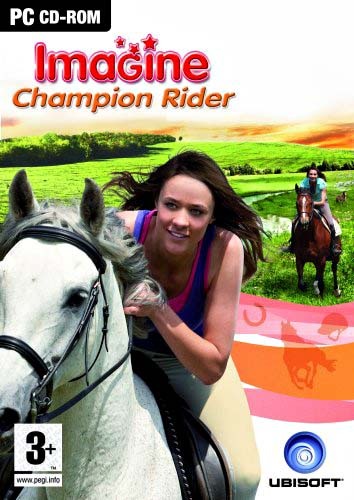 The character is also a champion rider, so you’ll get the chance to compete in some really important equestrian competitions with your own virtual horse. Besides the races, you also have the chance to explore the countryside, while you save injured horses and foals and have many other adventures along the way. 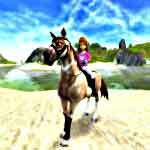 You can run freely with your very own Mustang horse and explore the world. 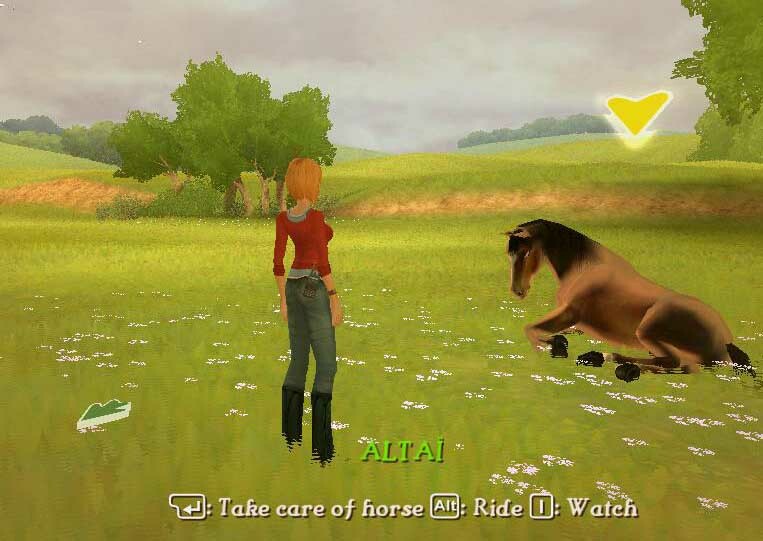 Alongside with your first horse, Altai, you’ll be able to tame some wild horses, but be careful! You have to do all the right movements otherwise you will scare them! In the path to become a real champion rider you need to learn how to feed and groom your horses. You need to brush, wash and pick their hooves in order to raise a great champion. 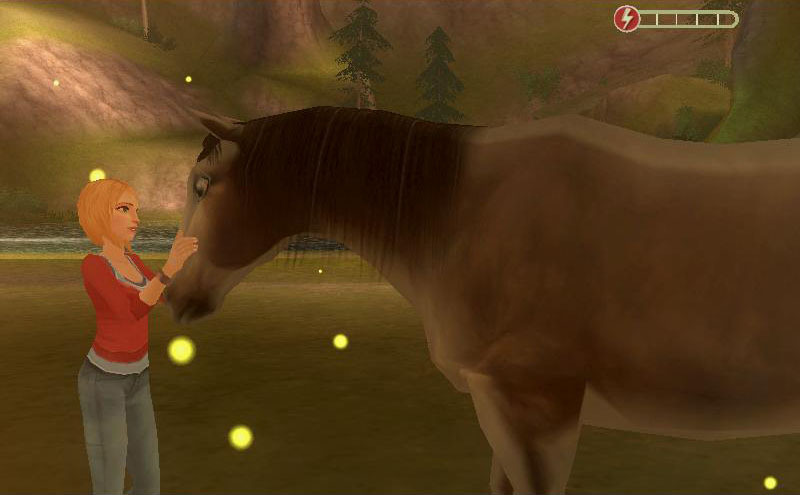 You are also able to choose your foal’s personality, which is great! They can be shy and sensitive, active and athletic or happy and playful. You choose. In this game I love the fact that we can save horses in danger while enjoying the beautiful landscape. As a consequence, later in the paddock if we spend some time grooming our horses and giving them proper attention, we may be raising our own little champion! In order to test our skills, we need to go to championships and compete in some cross-country events that include races, cross and jumps. So, if you are looking for a game with beautiful graphics, simple gameplay and where you can experience amazing adventures, this certainly is what you are looking for. So, prepare your saddle and jump into this fun wild adventure while you train your own Mustangs in the path for being a champion! 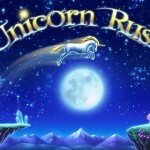 Awesome graphics and very fun! Can get boring after you beat the game, however. My main problem is that there just isn’t quite enough content, but while it lasts it is a blast!